I had a juvenile striped bronzeback a little while back – video here. These are fast, tree climbing snakes that are active during the daytime and are frequently found in residential areas. They love frogs and lizards, from what I’ve seen them eat. These snakes are exceptionally beautiful. They are rather nervous – meaning, they are very aware of what is going on around them – like an Indo-Chinese rat snake – antsy and ready to bolt in a second if given the opportunity. This one is in an aquarium, and when I slid the top off to the back just slightly – it was enough for him to fly out of the top and almost lost in the tree next to us. I was able to get his tail and put him back in the cage without any problem, but it reinforced just how fast these snakes are – similar to the golden tree snakes in speed and habit, personality. Length: Up to about 1.5 meters. The males are a bit more red on top, and slightly thinner. Range: The Striped Bronzeback is found in southern Thailand through the Malaysian Peninsula, and to Singapore, Sumatra, Java, Borneo, and the Philippines. 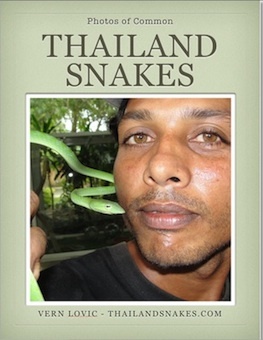 The snake shown here was caught in Tub Kaak, Krabi Province in southern Thailand. Habitat: Forests and lowlands up to about 1,500 meters. They are found on trees primarily, and often on the ground too in search of prey. Active Time? Diurnal – daylight. Food: Frogs, lizards, some say small birds in the nest. 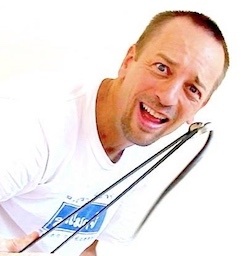 Defensive Behavior: A quick bite – coiled beforehand, or not. I was bitten when I grabbed his tail when I first saw him. I expected it. He caused a little blood on the top of my pointer finger by the big knuckle. There are a couple small bumps there now. I experienced no serious symptoms. Venom Toxicity: No venom. No danger. Notes: Striped bronzeback snakes are somewhat larger than the other bronzebacks, and can get up to about 1.5 meters. The one in the photo and video below was caught at about 300 meters elevation (900+ feet) on a fallen tree. I stepped over the tree and the snake fell to the ground and attempted to hide under another rotting tree stump. I had to decide in about 1 second whether the snake was venomous and whether I could step lightly on his tail to stop him from disappearing. I saw the tell-tale head shape and stripe down the side and knew it was a bronzeback, but there are about 6 species of bronzeback in Thailand. I hadn’t caught one of these until today. These snakes are diurnal – active during daylight hours and are excellent climbers, as all bronzebacks are. 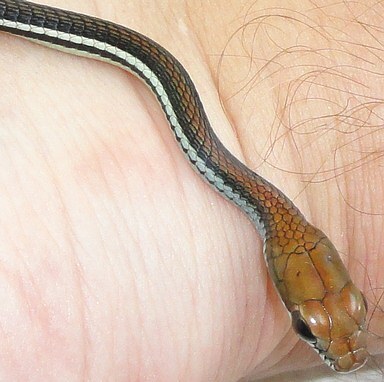 They are twitchy snakes, and this one bit me when I first grabbed him. I had to pull him off my index finger slowly to prevent injuring him. He bit down hard for his tiny size (about 10 inches). These snakes love frogs and other small animals – geckos included. This species of bronzeback has a black stripe on a light background running from it’s neck to it’s tail. The belly is white or yellowish. This snake does not have the stripe across the eye like some of the other bronzebacks. 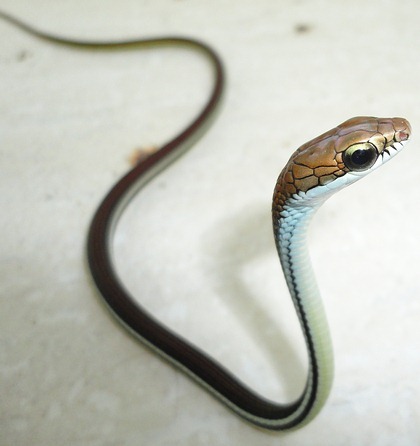 The top of the head is brown – bronze color as is the top of this snake’s back. 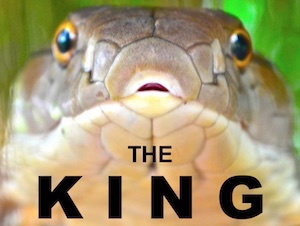 The eye is large, like a rat snake, and the head is long almost like a whip snake, but wider in comparison to the body. Unlike other bronzebacks, the vertebral scales are not enlarged but are narrow in shape. Its lower cheeks and lips are pale yellow with small black marks or stripes running vertically near the snout.